Ellie has a Master’s of Science degree in Marriage and Family Therapy from the COAMFTE accredited program at St. Cloud State University in Minnesota. 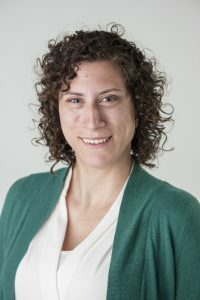 In addition to her graduate school education, she has obtained an Applied Counselling Certificate and a Bachelor of Arts degree in Psychology, both from the University of Manitoba. 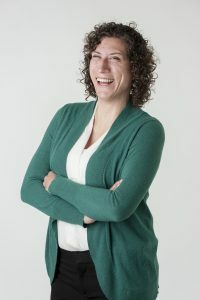 Ellie Jack’s clinical experience has allowed her to work with individuals, couples and families, including adult clients and adolescent clients. 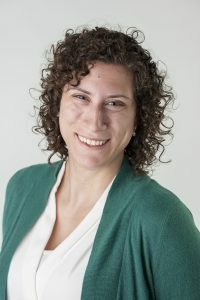 Along with helping clients with issues of stress, depression, anxiety, and anger, Ellie has experience helping her clients process personal traumas and losses including physical, emotional, and sexual abuse. Ellie is also a facilitator of Prepare-Enrich couple assessment, and enjoys working with couples to enhance communication and intimacy for a more rewarding relationship. Ellie’s interest in interpersonal relationships began during her first year of university. She was fascinated by the impact that social relationships can have on individuals, and how these relationships shift and change over time. Ellie is especially interested in how the experience of the families we grew up in, can prepare us for our later peer and romantic relationships. Ellie’s goal as a therapist is to create a welcoming and safe environment for her clients as they process emotions, and travel down their path towards healing. Ellie appreciates the courage it takes to come for therapy, and she works hard to make her client’s feel understood and cared about. Ellie’s favourite part of being a therapist is hearing her client’s stories, and being able to remind them that we are all human, and every thought and feeling we have can be validated. Ellie believes in the great potential for change that family/couple sessions can provide. The problems we face are complex. The issues we experience often reach further than only ourselves. Sometimes, in order to get to the root of the problem and create real change, clients can benefit from bringing loved ones into session. The benefit of family/couple sessions is to obtain greater insight into how the problem is affecting the family/couple, and to have the opportunity for more people to invest in the therapeutic process. In Ellie’s professional opinion: the more the merrier! Ellie hopes that her client’s leave their session with a better sense of self-understanding, the empowerment of finding their voice in their social relationships, and with the belief in themselves that they have the strength within themselves to thrive. Ellie's drive to be the best therapist she can be, allows her to be a wealth of information. She's a dedicated student of our craft who loves to learn. She eagerly becomes a student of each client to best serve them. We are delighted that Ellie is joining our team in June 2017 and look forward to the contributions she is going to make as she works with the clients at Conexus.